Der alte Kumpel von der Baustelle ist wieder da! T3 TRASPORTER (T25) 1.6 BENZINA 9 POSTI "79"
The famous Volkswagen Transporter was born from the hugely successful, and very popular Volkswagen Beetle. 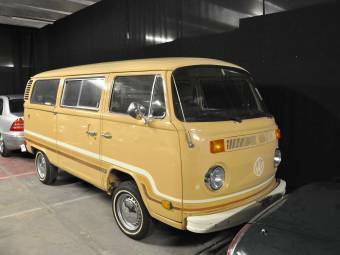 The Transporter was a Volkswagen Type 2 (labelled model T1) and was the first design of Volkswagen's Transporter family. The range goes from a T type, to the current range of the T6. 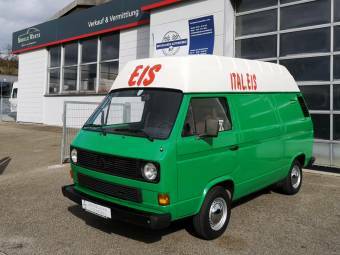 The Transporter is without a doubt the best-selling van in history. Sales of the transporter come in at over twelve million units sold throughout the world. 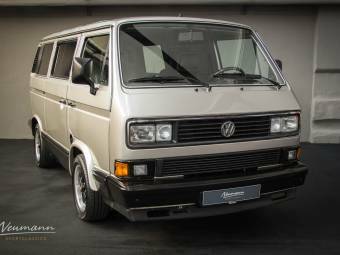 The transporter range is not just a work van, there are a number of different varieties from vans and minivans, to passenger carrying minibuses, as well as pick-up trucks and camper-vans. 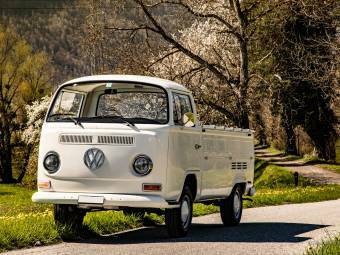 The first edition of the Volkswagen was called the type 2. 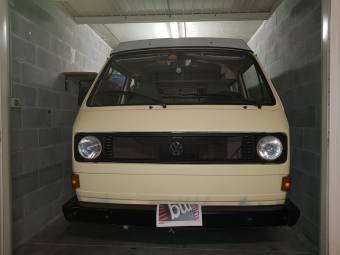 As it had a unique split windshield, it has been dubbed the Microbus, Splitscreen, or Splittie by modern day followers. 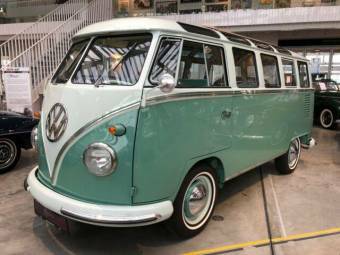 It was first available for purchase in March 1950, with the final availability of the Type 2 being offered for sale at the end of the 1967 year. 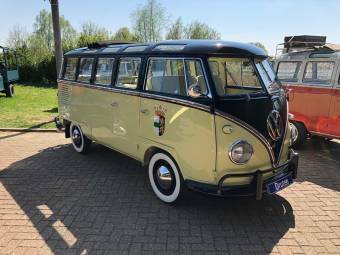 Between the years of 1950 and 1956, the T1 (it had not been named this at the time) was manufactured in Wolfsburg, however in 1956, a brand new Transporter factory was opened in Hanover. Following on from the success of the Beetle, the Transporter utilised the same technology. 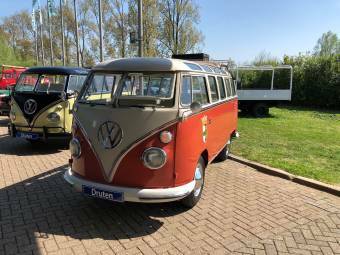 This technology that featured in the first Transporters used the 1100 Volkswagen air-cooled engine, which had an air-cooled flat-four-cylinder 'boxer' engine mounted at the back of the van. An upgrade was featured in 1953, to a 1,192cc engine. 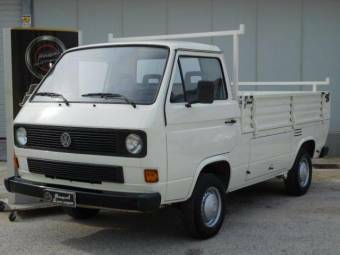 Following on from the popularity of the T1, Volkswagen launched the T2 version. It was marketed and sold from 1967 through to 1979. 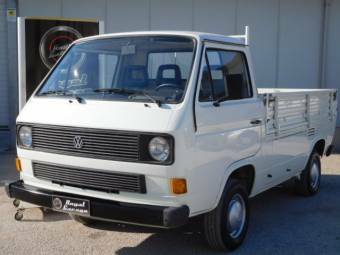 All versions of the T2 were sold with a Volkswagen Type 4 engine as an optional extra from 1972. 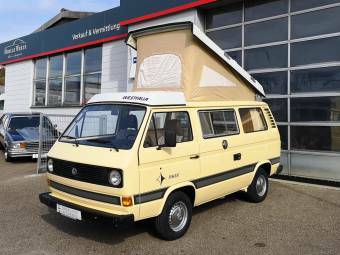 The main difference between the T1 and the T2 was the fact the Transporter lost its distinctive split screen, as well as the T2 having a larger engine, a greater cargo carrying capacity and being a heavier version. 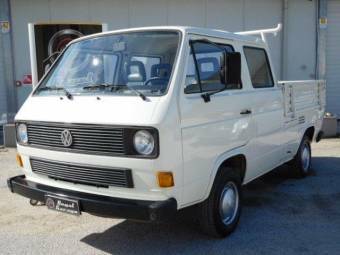 The Volkswagen Type 2 (which was the model type T3), was known as the T25. 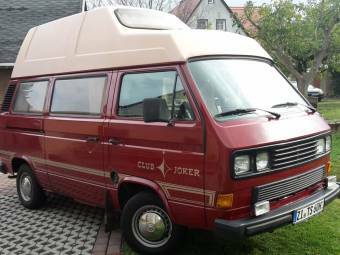 This was marketed and sold as the Vanagon in America. 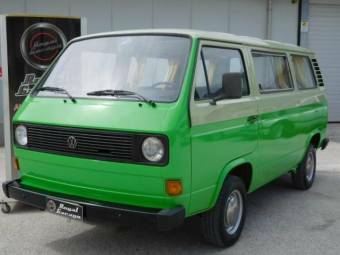 The T3 was one of the last new Volkswagen platforms that utilised the air-cooled engine system.